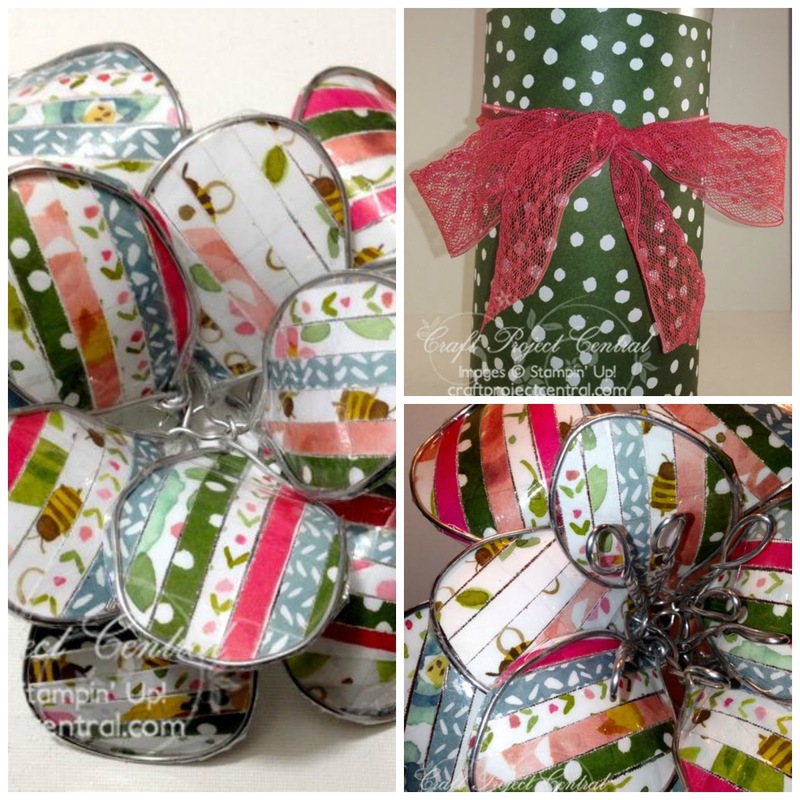 Just Julie B's Stampin' Space: Wire Flower Sculpture Gift Set! If you are like most of us, you have a lot of beautiful paper stashed away for a time when you are inspired. This project will provide you with all the inspiration you need! Just get out some packing tape, wire and your English Garden Designer Series Paper (DSP), or any other DSP that tickles your fancy, and get to work making a beautiful sculptured flower! With your wire, packing tape and DSP, you will be making your garden grow in no time! This set includes a large wire and DSP flower sculpture, a decorated vase for displaying your flower, and a beautiful gift tag if you choose to share your flower and vase as a gift for someone special. Your inspiration may grow wild and you may find yourself making a full bouquet! This creative project was made by Michelle Wecksler and it's the Bonus project for the month of March. Bonus projects can be obtained by subscribing to two or more months in a row, putting the Craft Project Central badge on your blog, or by referring a friend and when you subscribe, letting us know.